A second most important fiber after cotton, jute, has not got the same appreciation what it truly deserves. May be due to its coarse structure but is that a reason strong enough to neglect such a natural product that is durable and eco-friendly. Definitely no and to counteract the same, many designers has come up with the exclusive range of Jute Rugs that are available in various designs, shapes, sizes, and colors. Among those designs of Jute Rugs is Braided Jute Rugs that add casual and rustic look to the home interiors. These rugs remind the customers of intricacy of design created by the artisans and craftsmen having proficiency in the domain. Today, there are many Braided Jute Rugs Manufacturers and Suppliers having years of experience and expertise in the domain to bring forth exclusive designs in the market. Flat Braided Jute Rugs are simple and handmade rugs that is twisted and braided to provide strength and durability to the structure. 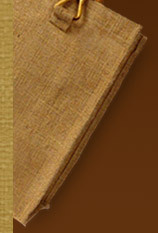 Herein, double strands of jute yarns are tightly wrapped till the end of the loose fiber, a process known as braiding. Anything braided become robust in construction and durable. Braided Jute Rugs can withstand the regular wear and tear and thus last for longer period of time. Also, twisting the rope in the braided manner enhance the visual appeal of the end product. Hand Braided and Hand Stitched Jute Rugs can be used with the rug pad that augment the look of the interiors. Jute Rugs can be kept below the chair, near bed, and any other places where it gets a good visual attention. Braided Jute Rugs are available in varied sizes and color to suit your interiors. With the advent Internet shopping facility, you can easily buy durable and stunning Braided Jute Rugs at competitive prices.